Indian all rounder Vijay Shankar has been in fine form with the bat in the T20I series against New Zealand. 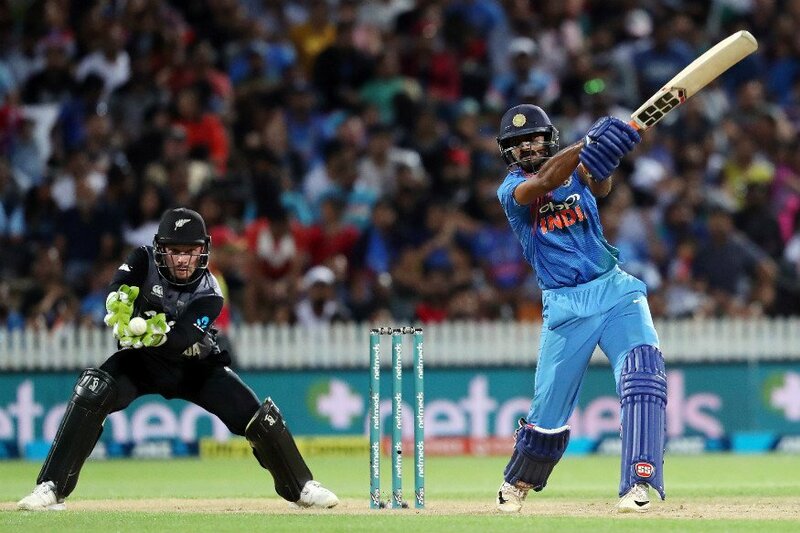 Shankar top scored for India with his 43 off 28 balls as India fell 4 runs short chasing a challenging 213 run total in third and final T20I against New Zealand at the Seddon Park in Hamilton. Shankar finished as the second highest run getter for India in the series with 84 runs after skipper Rohit Sharma. In the post match press conference, Shankar was asked about whom he looked up to in the current Indian team flooded with superstars like Virat Kohli, MS Dhoni and Rohit Sharma. 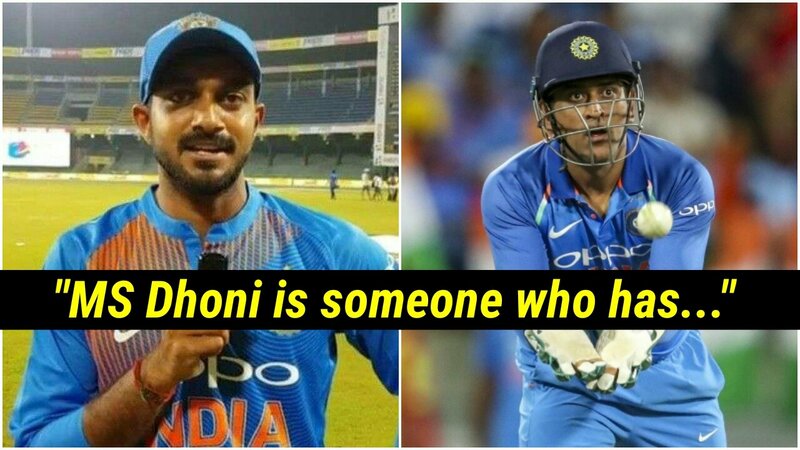 The 28 year old had no second thoughts in picking up MS Dhoni’s name as the person whom he looked up to the most in the team. Shankar pointed out the number of games MS Dhoni had won for the team and also highlighted the veteran wicketkeeper batsman’s importance in the setup. “For someone like me, I try and learn from watching each and every player we have in our team because everyone has done something in the past and they have won matches for the team especially Dhoni, who has done a lot for the team. I definitely look upto him,” Shankar was quoted as saying by ANI after India’s 4-run defeat in Hamilton. 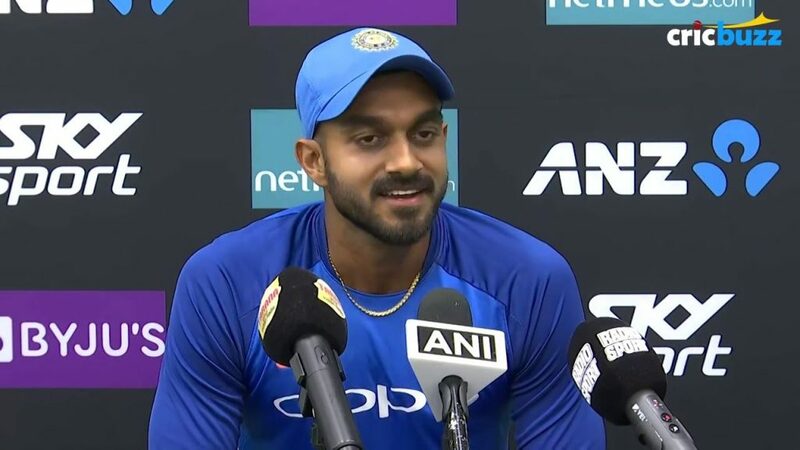 The series against the Blackcaps was an excellent learning curve for Shankar, who will be looking to take up the second all-rounder’s spot in the squad for the World Cup. Shankar admitted that he was still learning with every game for India and looking to improve on his game heading into the World Cup. “Every tour, every game is very important for me. In the matches that I have played in so far, I think I have reasonably done quite well but I could have done a lot better. It is a great learning for me. I am just looking to get better everyday,” Shankar said. “The most important thing for us is to be really consistent and adapt ourselves to different conditions and keep performing. I think this is the only thing which can keep pushing us. T20 is such a format where we need to be flexible, as batsman we need to know the situation and be aware of what is happening around. I look to be flexible and give my best to my team,” Shankar added.